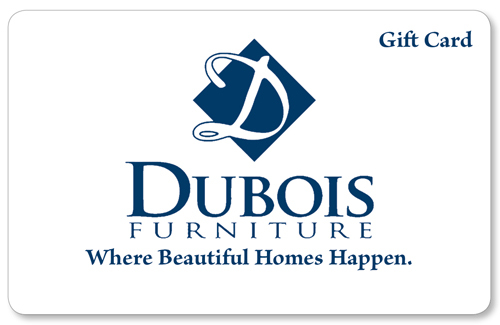 Whether it’s for a birthday, anniversary, holiday, wedding, graduation, new home, new baby, or just because you’re thinking of someone…they will love the gift of a DuBois Furniture Gift Card. *Please note, at this time our gift cards are physical gift cards that will be mailed to you or your chosen recipient. We do not offer digital gift cards. Visit our store or call us to buy one today!